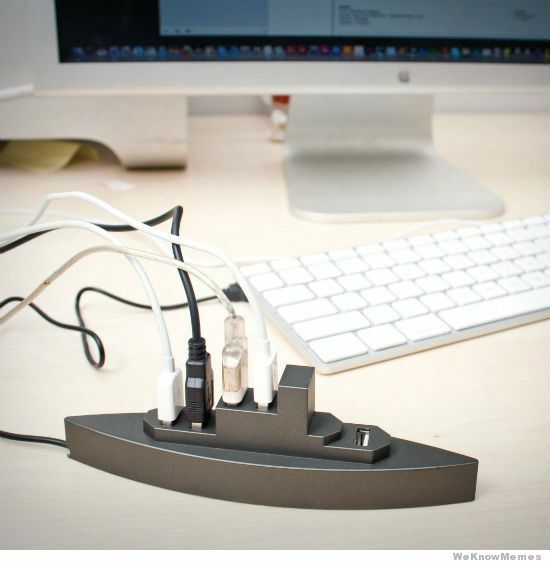 Collection of 'Unusual USB Hubs and Creative USB Hub Designs' from all over the world. 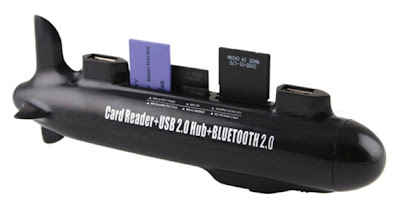 USB Media Submarine: This cool submarine is a cardreader, USB hub and Bluetooth-equipped. 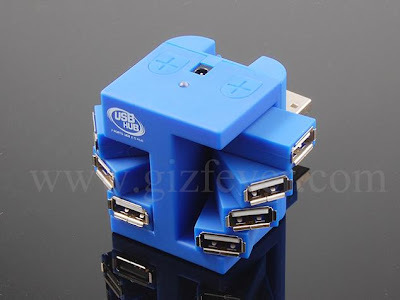 USB Rotatory 7 Hub: The 90 degree rotatable hub comes with 7 flexible hi-speed ports that are USB 2.0 and 1.1 compliant, with data transfer rate at 1.5/12/480 Mbps. 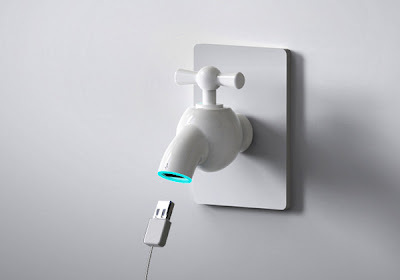 Faucet USB Hub: Designed by Qi Weijia, the recharging tap comes in the shape of a faucet; it takes in smartphone, digital cameras, MP3 and other USB enabled devices, for recharging. 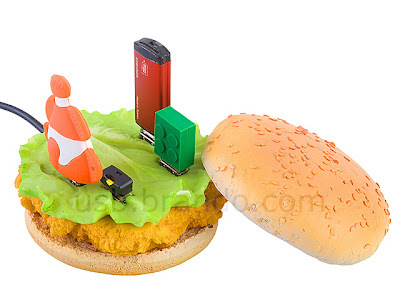 Food USB Hub: The Chicken Burger USB hub comes with 4 ports that are USB 2.0 and 1.1 compliant, with data transfer rate up to 480Mbps. 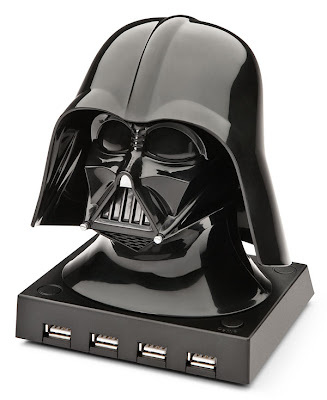 Starwars Inspired Hub: It's a 4 port unpowered USB 2.0 hub. 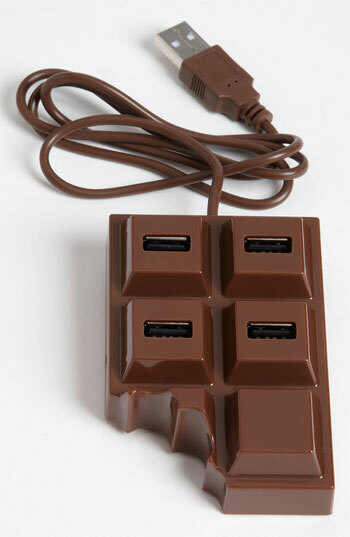 Chocolate USB Hub: It's a four-port USB hub that comes in the shape of a tasty block of chocolate with one nibbled corner. 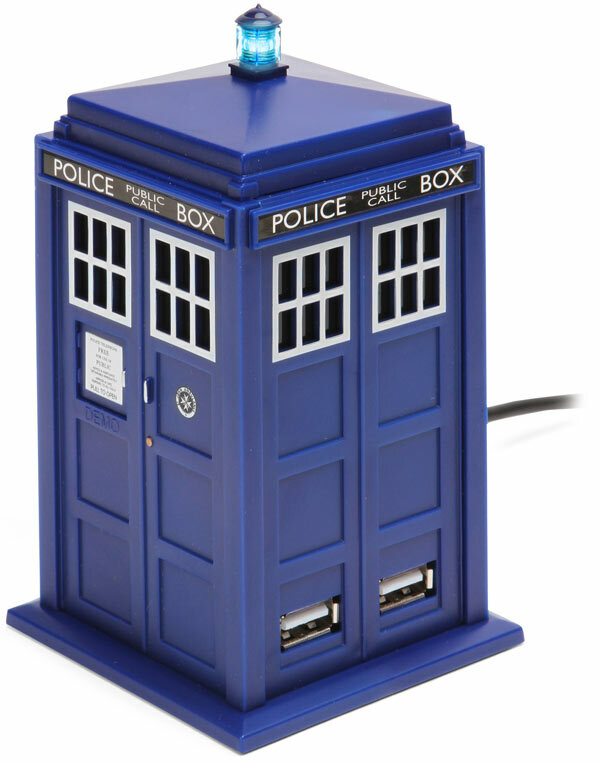 TARDIS 4 Port USB Hub: It comes with a time-traveling sound effect; the light and sound effects are powered when a USB device is plugged into the port. 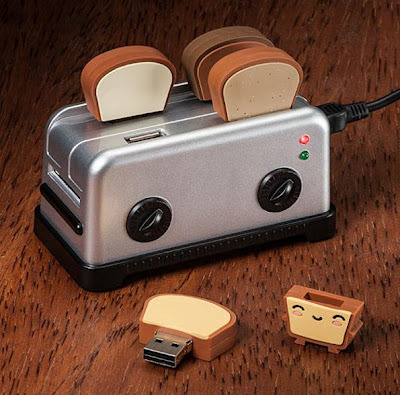 USB Toaster Hub: The set includes USB memory cards to be placed in the hub. 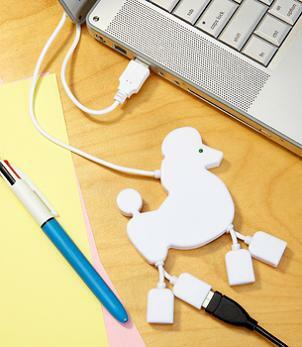 Flexible USB Hub: It's a four-port USB hub and cord manager, with a flexible neck. 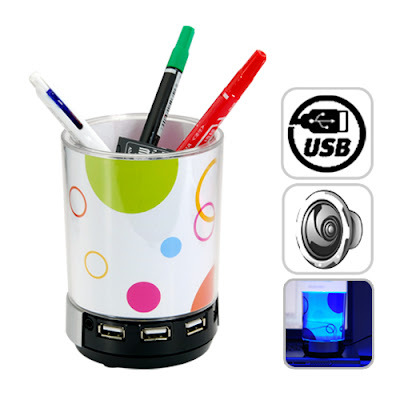 Desk Buddy: It's a 4-port USB hub, speaker, penholder, light and photoframe. 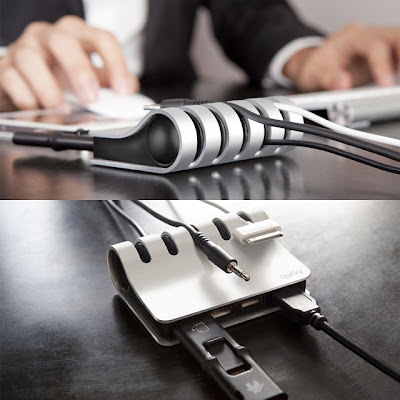 Cordies: It keeps your cables on the table, and features four extra USB ports that you can connect to your computer, or plug into a power source for recharging. 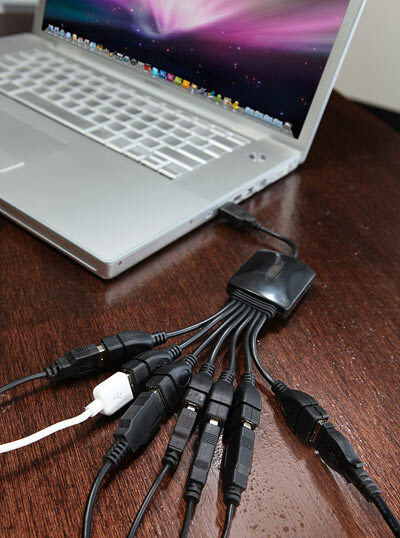 USB Octopus: It features 7 ports that are USB 2.0 specification compliant. Don't miss to check out "Unusual USB Hubs and Creative USB Hub Designs - Part: 1| 2." Creative and Cool Polaroid Inspired Products. 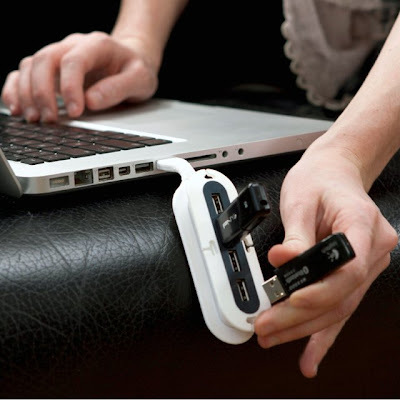 12 Clever and Creative Advertisements on Buildings - Part 2.